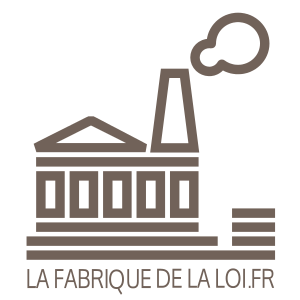 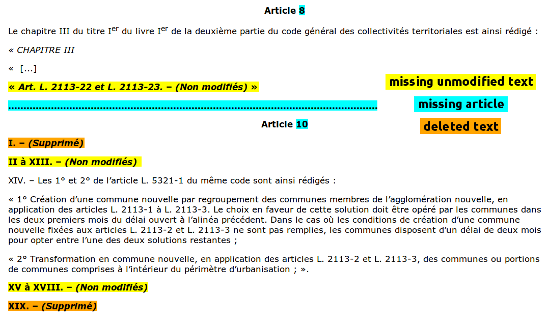 Nous republions ici cet article rédigé en anglais et publié sur les sites de la Sunlight Foundation, de l’Open Knowledge Foudation et de la coalition Opening Parliament expliquant le fonctionnement, les sources et les enjeux de notre projet LaFabriqueDeLaLoi.fr. 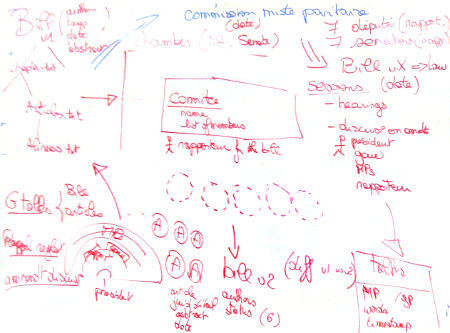 Clicking on a bill provides (on the right) a small set of metrics offering a first estimate of a bill’s controversiality, including measures of how much the actual text grew and changed during the whole process, how many amendments were proposed and adopted and how many words were spoken during the debates. 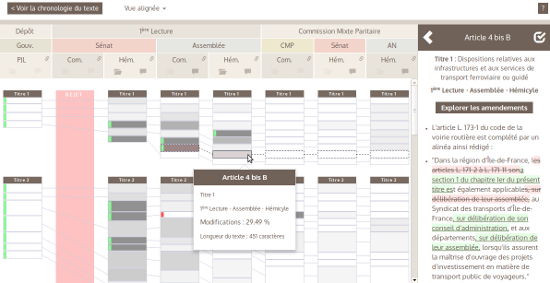 Contrary to popular belief, first analyses reveal that the French Parliament impacts the law writing process significantly: 74 % of the amended texts studied were modified by at least 50 %, and 61 % increased in length by at least 50 %. 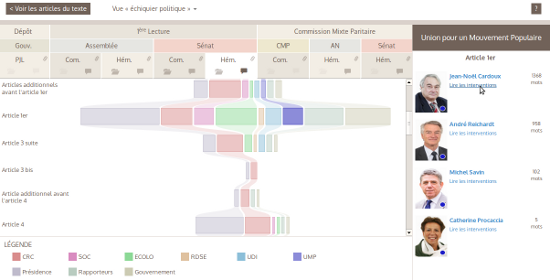 Only a handful of texts – highly controversial ones – reveal a decrease in volume by the end of the parliamentary process. 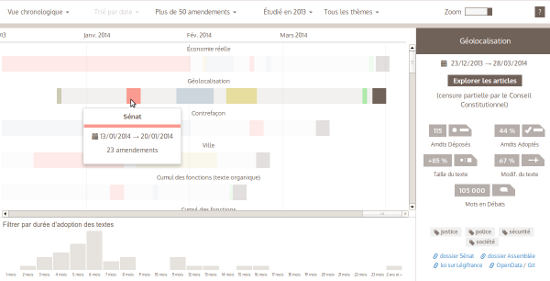 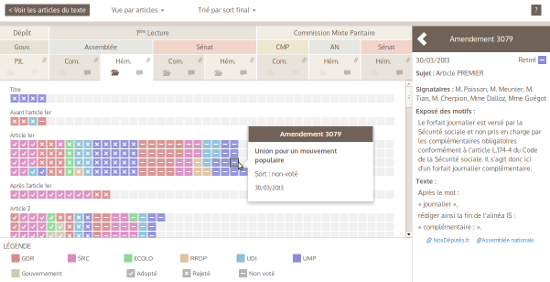 Clicking on the button « Explorer les articles » allows the user to study the legislative process of each bill individually.